I’ve been meaning to write a post on this concept for ages, but Greg Lehman beat me to it. Simple quotes like these spread like wildfire on twitter, but rarely reflect on the actual practices. While it’s common to think of strength solely as an outcome of training, strength training is a viable treatment option across many conditions. I build strength on top of “dysfunction” all day every day, and Greg provides some relevant examples of just when and why this is often the case. This post from Dr Mark O’Keeffe and Dr Kieran O’Sullivan discusses their recent systematic review comparing group-based to one-on-one physio delivery across the literature. This post touches on so many great concepts, and all their citations are worth a read, especially those concerning the rarely talked about over-treatment in physiotherapy. Much of my work requires shuffling data and text between documents, and standard copy-and-paste just doesn’t cut it. 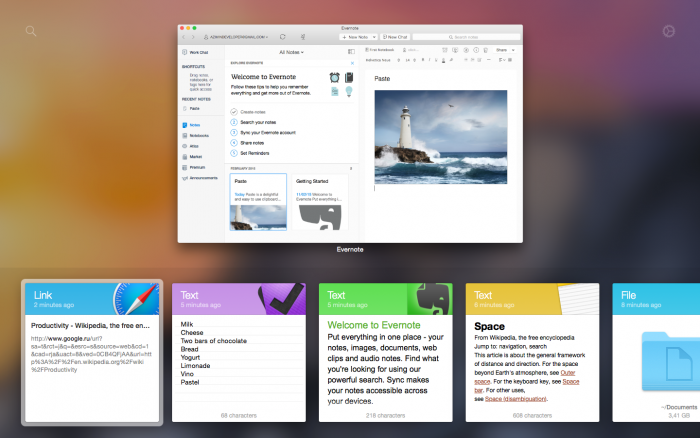 Paste adds a visual interface and the ability to retain (and organize) copied items that definitely speeds up my workflow.